New service aims to bring together the voluntary community sector (VCS) in the East Riding by creating the resources they need to thrive. Six months ago the HEY Smile Foundation (Smile) took on the challenge of providing the VCS contract for the East Riding of Yorkshire Council (ERYC). This tender was a successful partnership bringing together Smile with Humber Teaching NHS Foundation Trust and Hull and East Yorkshire Mind. The Smile Hive will deliver a variety of work ranging from volunteering, to digital resources, which will give the sector tools to create further efficiency, resilience, shared working and greater sustainability. Part of the new contract will see the Smile Hive, Humber Teaching NHS Foundation Trust and Hull and East Yorkshire Mind working together to improve the Health and Wellbeing of Adults within the local communities. This will be done via social prescribing, which is where healthcare professionals, such as GPs and nurses refer people to non-clinical services. 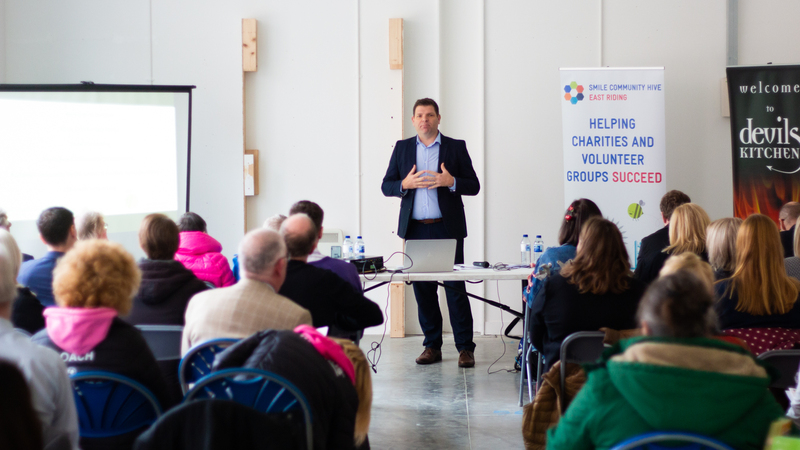 This can involve linking up with activities typically provided by voluntary and community sector organisations, for example: arts, gardening and sports. ERYCs Sports, Play and Arts team are working hard to build community links in social prescribing. They’re establishing new activities to combat a range of adult health and wellbeing needs, including loneliness and isolation and work closely with social prescribing Link Workers and Connectors. To help explore how you could improve the health and wellbeing of your community and be part of the East Riding social prescribing model, voluntary groups are being encouraged to apply for a Building Community Health Grant. There are three different levels of grants available ranging from £500 to £3000. Grants are designed to support community-led solutions to improve health and wellbeing of over 18s. Applications could range from bringing people together to sharing experiences and knowledge, or improving the self-management of a long-term, or complex condition. “We need to focus on what’s strong, not what’s wrong, to improve and build residents’ health and wellbeing.